This is a rectangular Robin Starch porcelain sign. This particular Robin Starch sign is red with white and blue text. 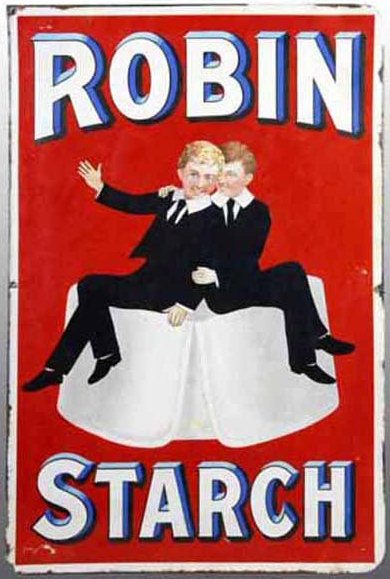 It reads, “Robin Starch” and features two young boys dressed in black sitting on a white collar in the center.